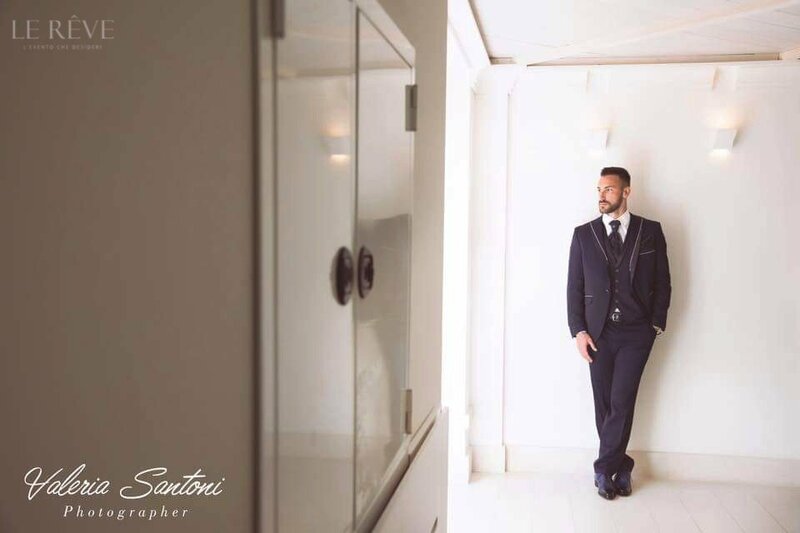 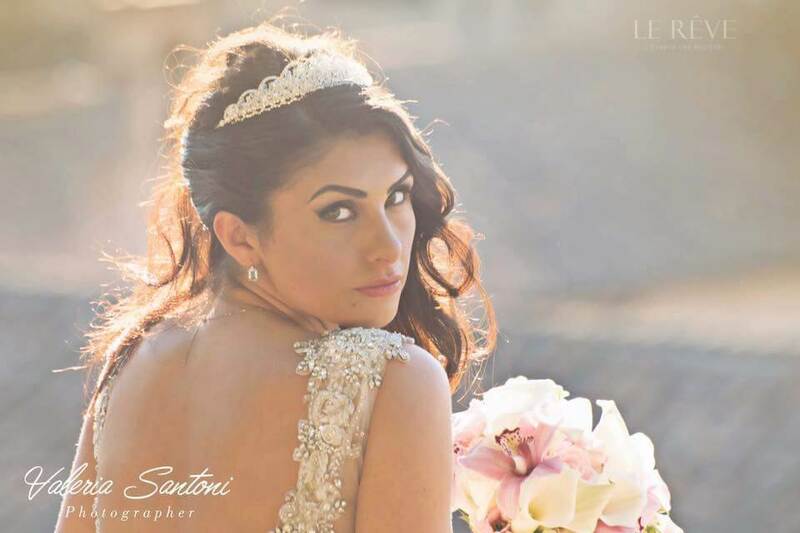 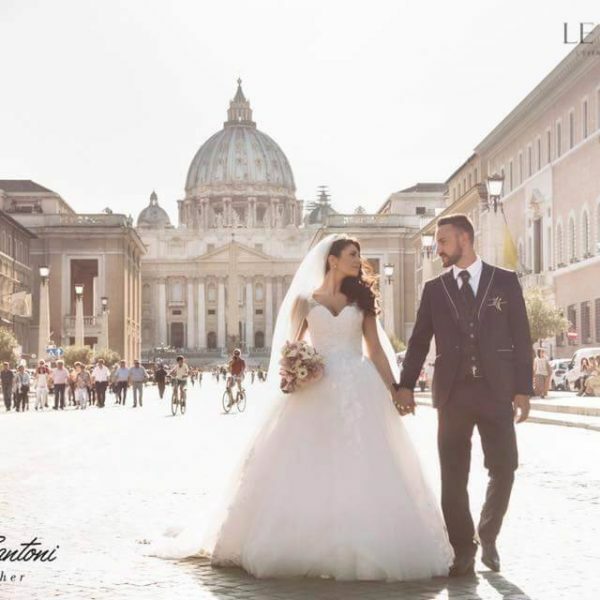 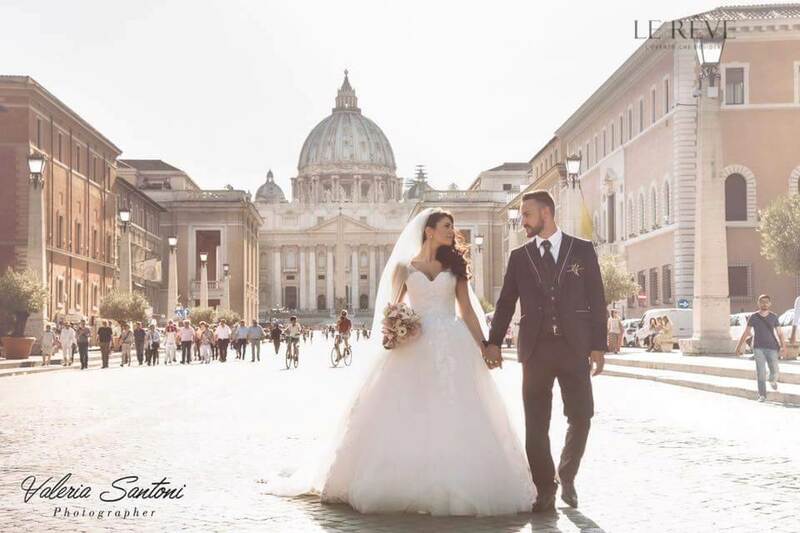 The young Bordeaux football player married the younger and brighter woman of his life, already mother of two beautiful princesses, and, as in all fairy tales, she also wanted a princess wedding. 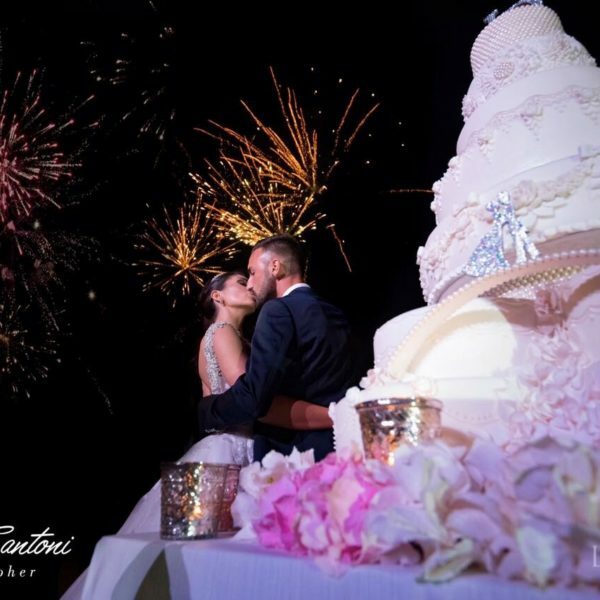 A dream dress for the bride, wide skirt, laces and transparencies, crystals, long veil and Valentino signed lace shoes. 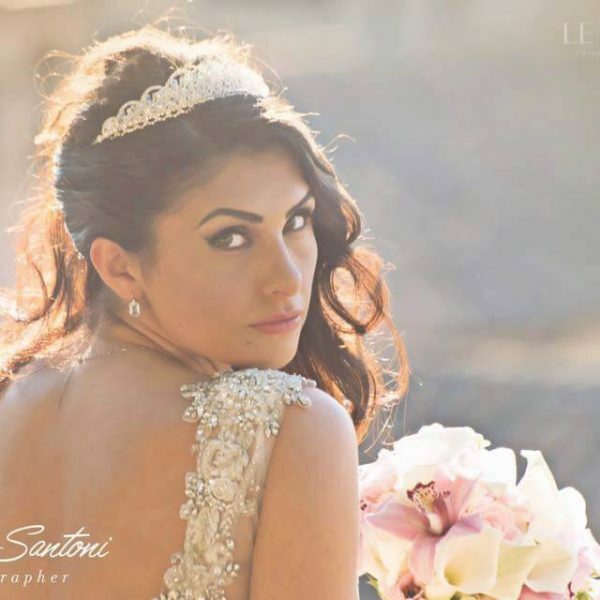 To complete her look, beautuful jewelery and crown in hair. 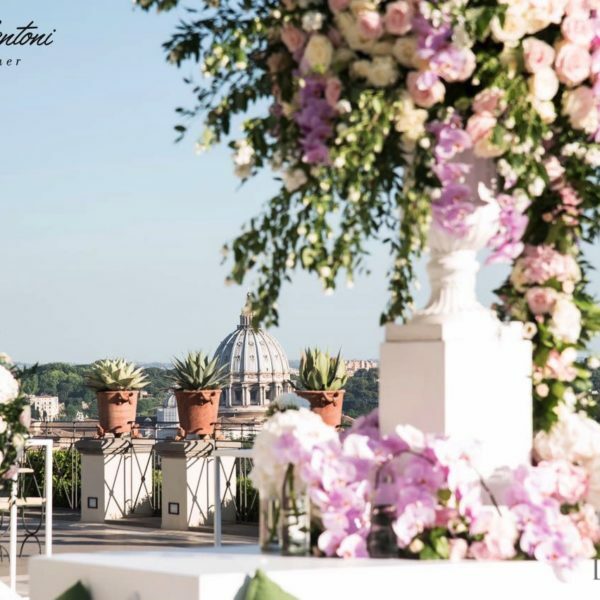 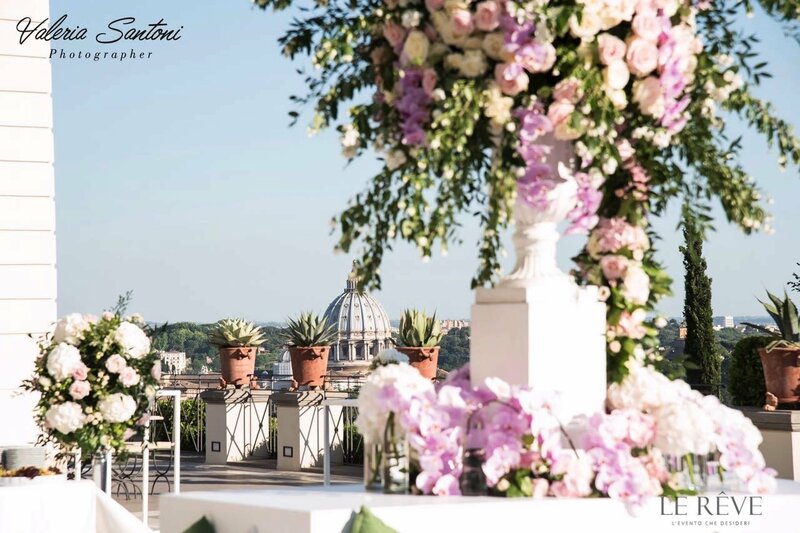 They chose a traditional celebration in the church of Santa Maria in Traspontina, a stone’s throw from San Pietro, gently decorated with white blooms and pale pink flowers. 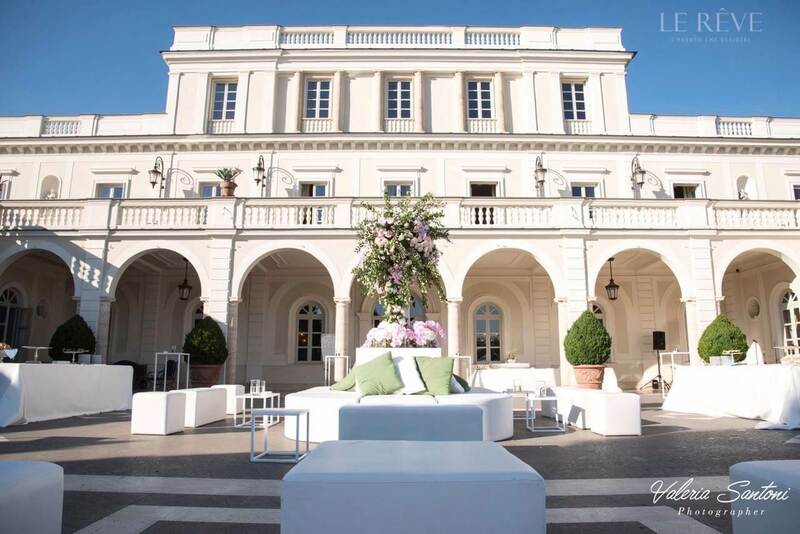 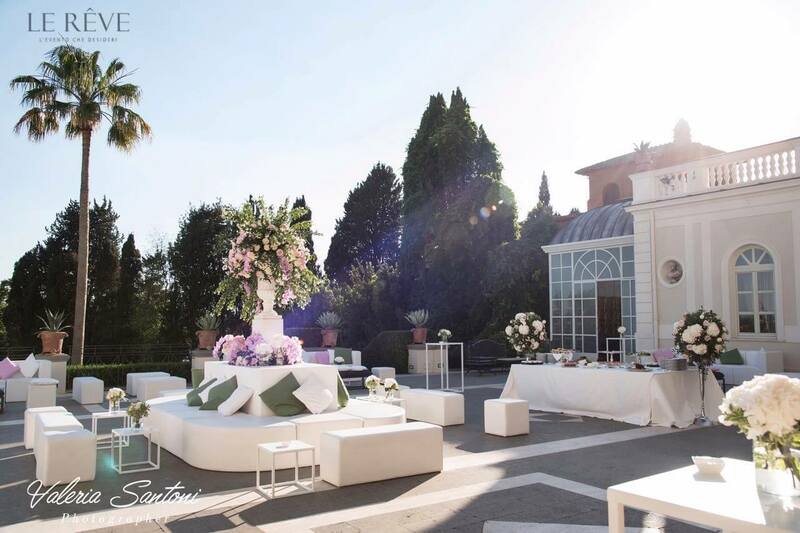 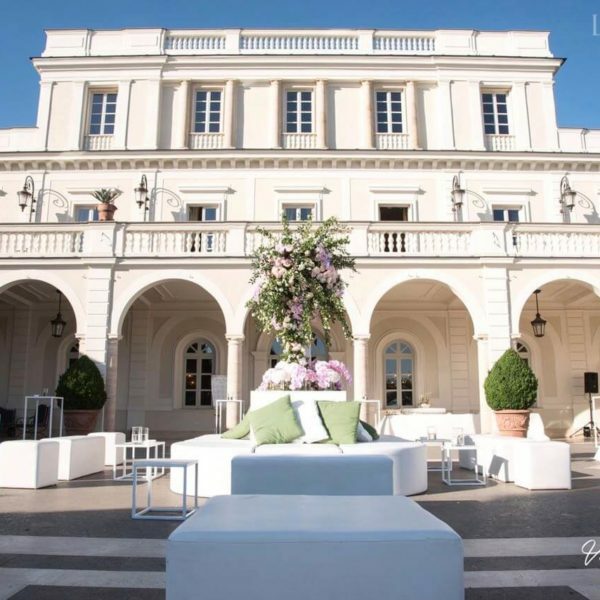 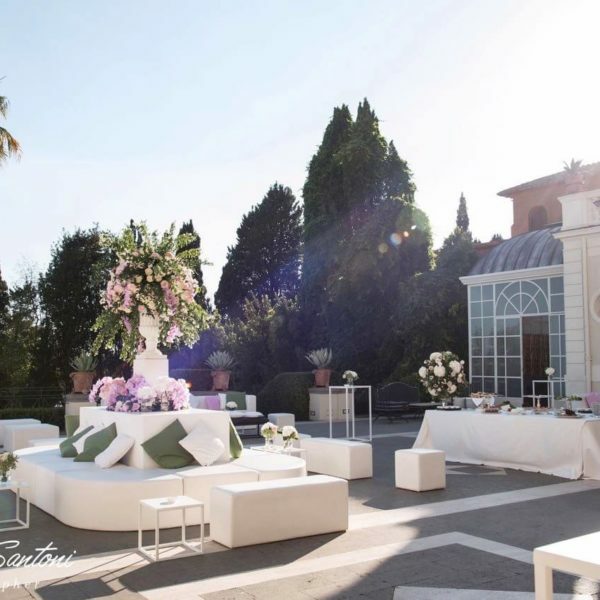 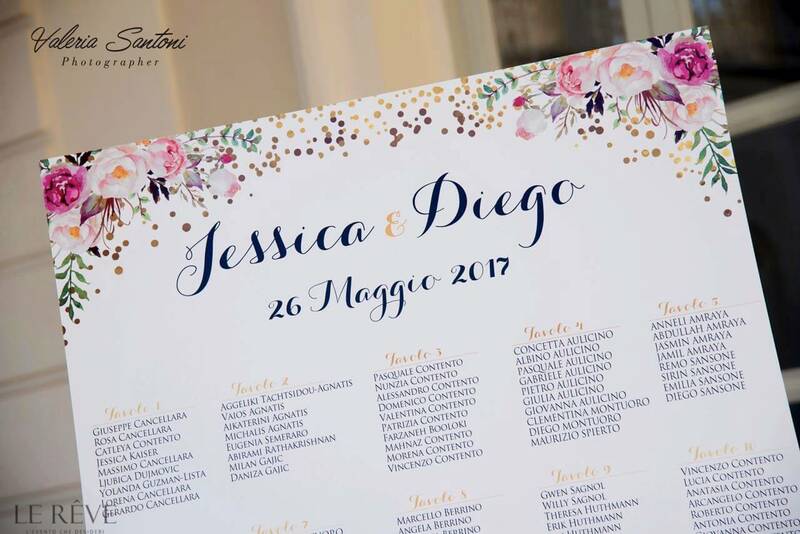 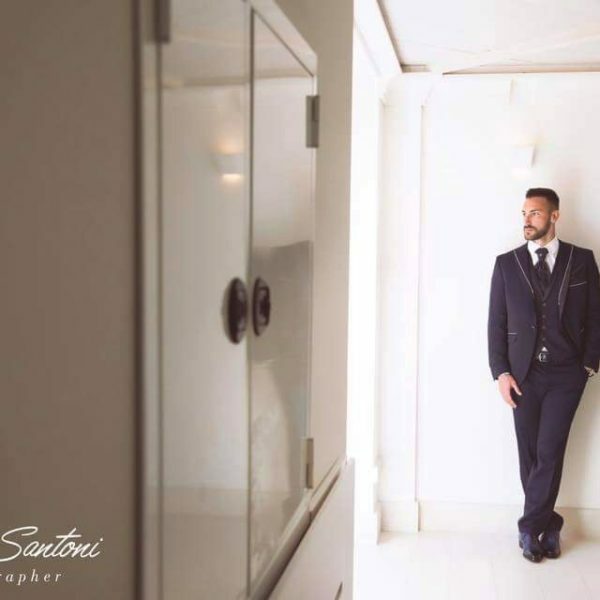 After the religious ceremony Jessica and Diego welcomed the 200 guests in the beautiful Villa Miani. 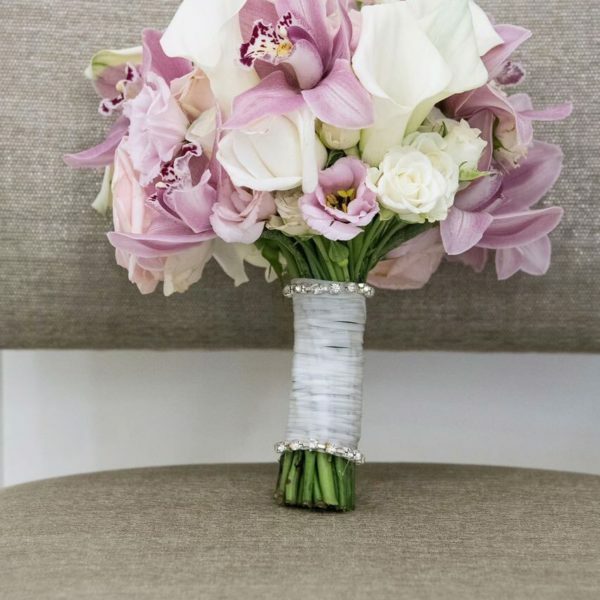 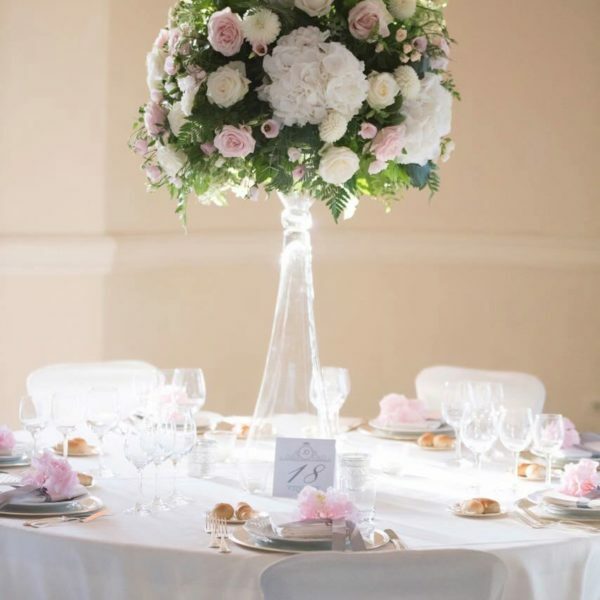 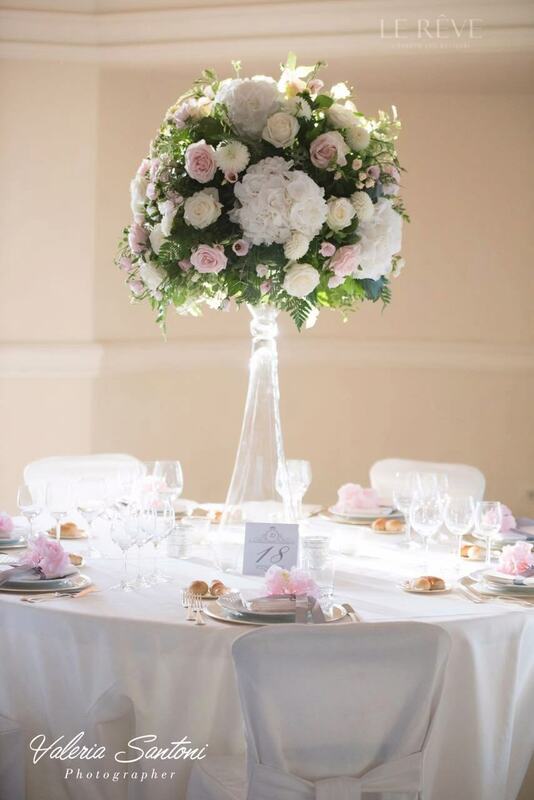 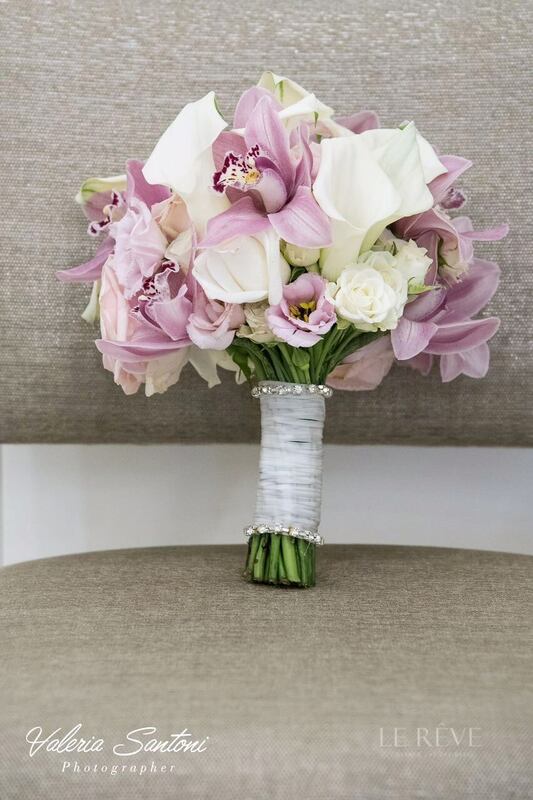 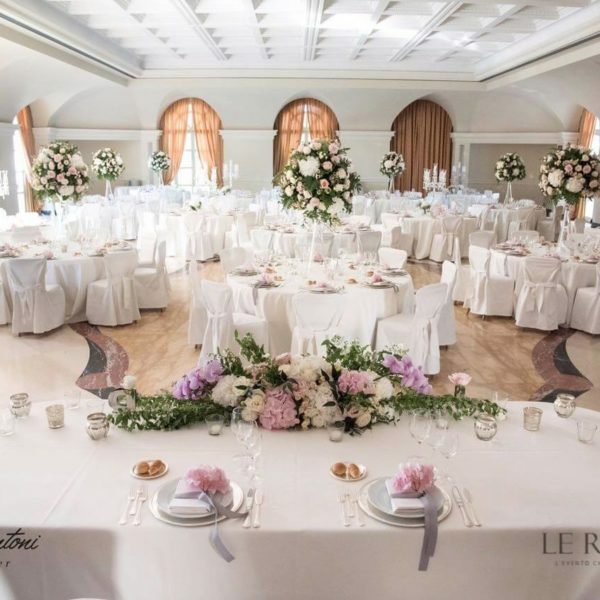 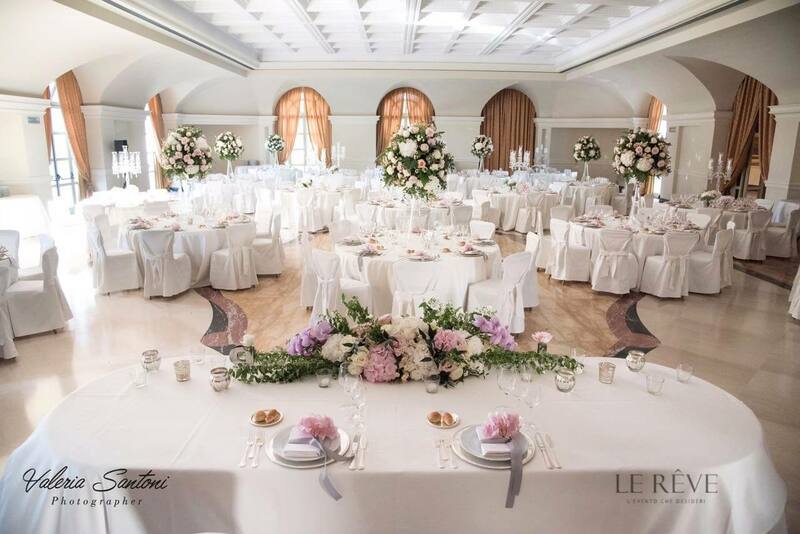 The floral decorations were triumph of flowers in the colors of white and pink, with a touch of green for a natural and refined effect, alternating with glasses and crystals that gave lightness and harmony to the environment. 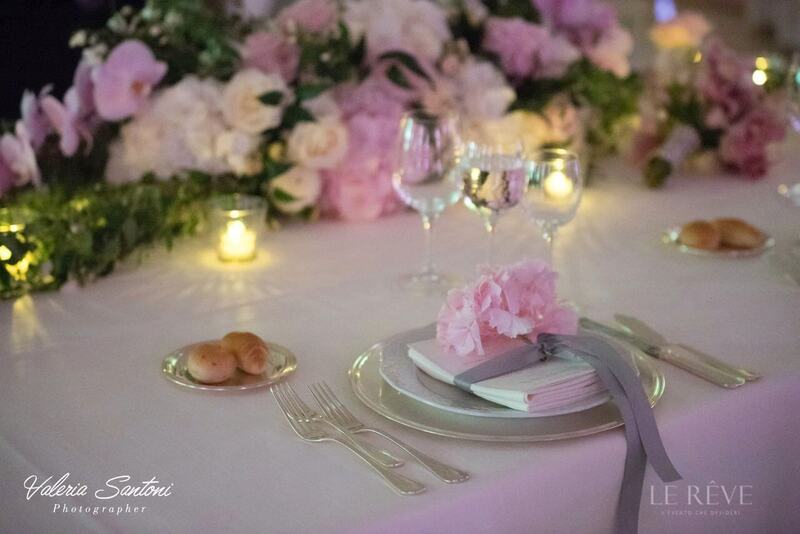 Dinner was served in the main ballroom where important floral arrangements and candlesticks with crystal drops created an elegant atmosphere. 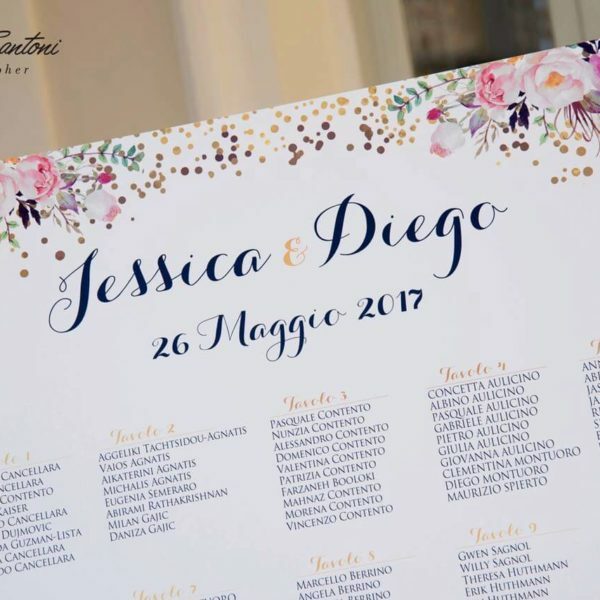 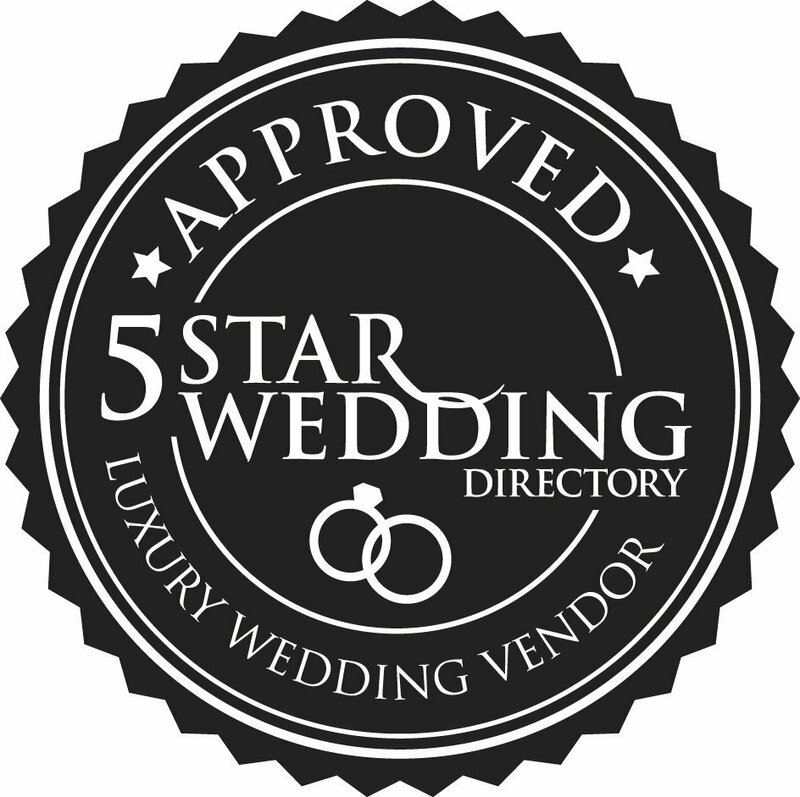 To these we have added small details such as silver foil print menus with monogram, ribbons and flowers to create a place suited to a true princess and prince. 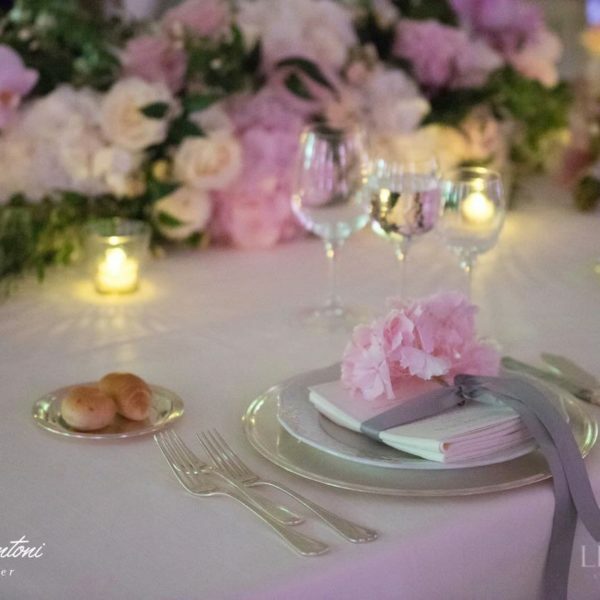 During the dinner guests were surprised by an original and incredible spectacle of illusion; which has captured not only the attention of so many children present but of all, leaving them unbelieving, open-minded … as we all of the rest. 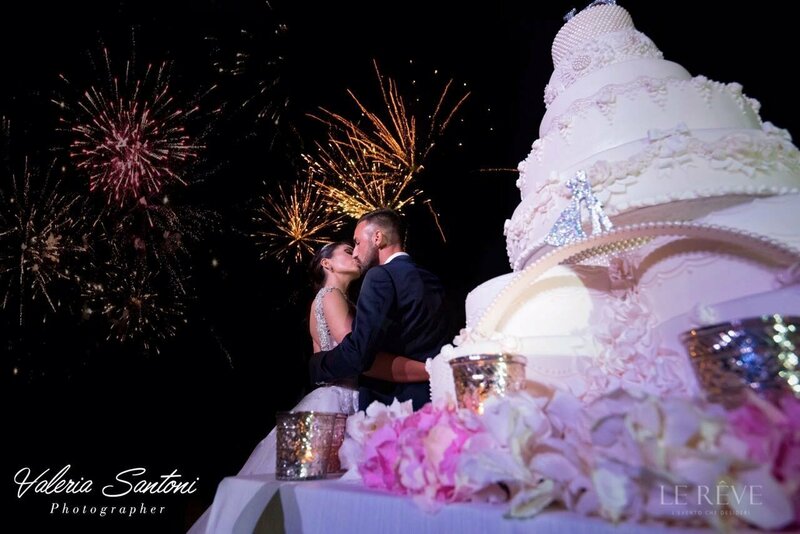 The seven tiers wedding cake, embellished with a monogram of svarowsky and glitter, was cut under a litle sky of thousands of colors, with all the glasses up for the final toas, whishing them a “lived forever happy and happy” as in most beautiful fairy tales.